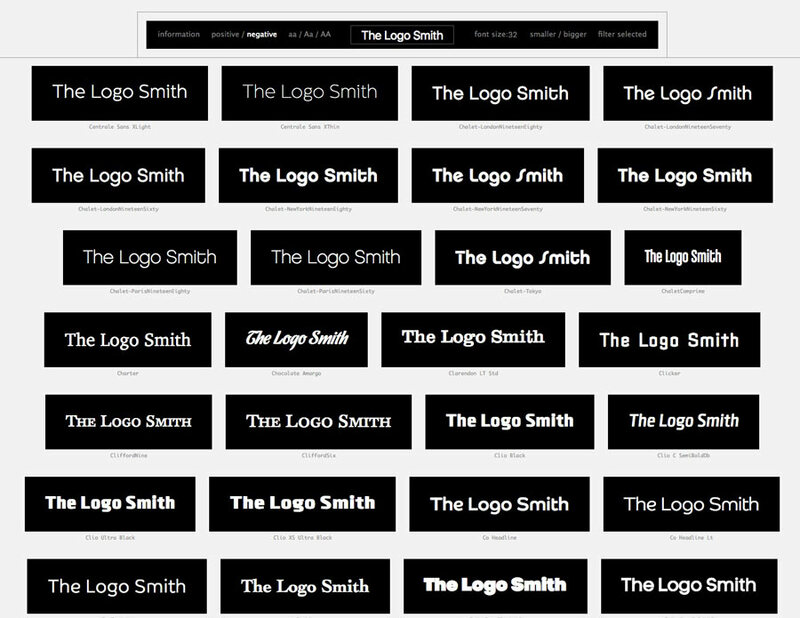 wordmark.it is such a simple idea, and will be quite invaluable to logo designers, if you have quite a large font library on your computer. You simply key in your word, or words, then click ‘Load Fonts’, and wordmark.it quickly scans your hard drive for all fonts—not just in a specific font library location—and then quickly displays your word/words in all available font styles. There are a few basic filters and options, such as: lowercase, uppercase or sentence case, font size, and flip between positive and negative display. Is font selection a real pain? I find going through my rather large font collection, or just trying to recall what fonts I have and what they look like, really quite a chore. 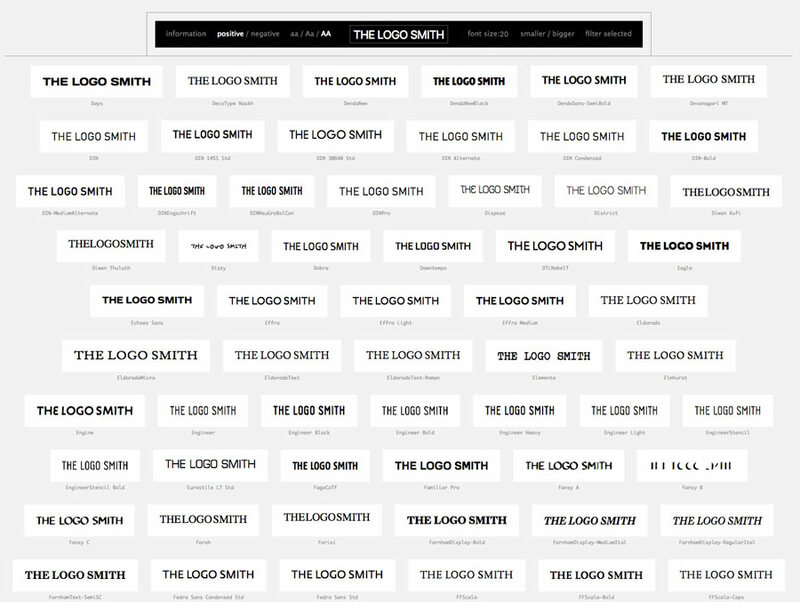 Trying to remember what all fonts look like, and trying to visualise which ones might work for any given design, is a real pain. Even using any one of the numerous font management applications, to open and close font after font after font becomes a chore. 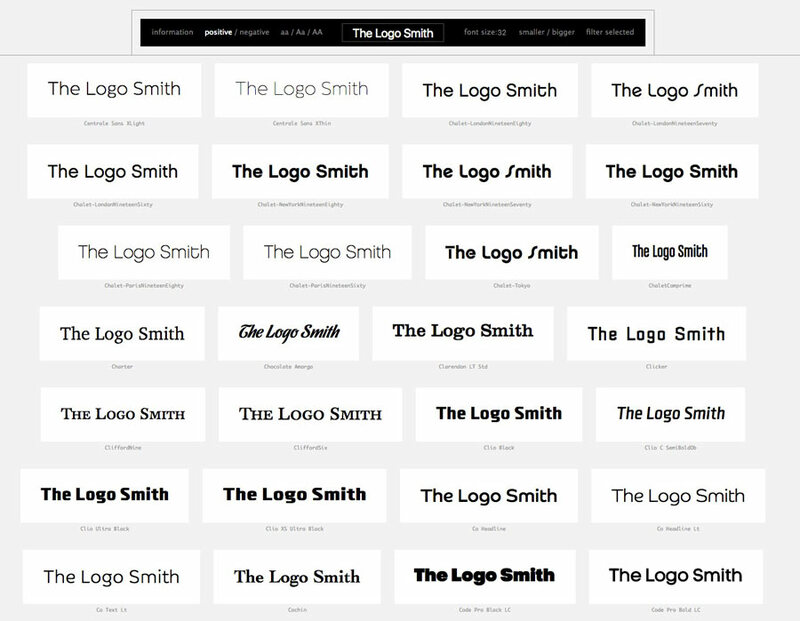 wordmark.it really does provide a super effective way to scan through your entire collection of fonts; to see at a glance which font styles work/don’t work, for your particular design.